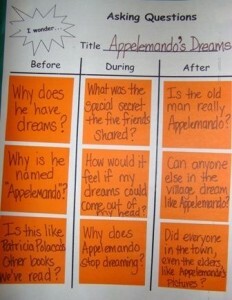 Asking questions is one of the most wonderful strategies to get your students delving deeper into a text. I’ve stumbled upon a wonderful way to get your students to ask questions that will greatly enhance their understanding, allow them to make deeper connections and potentially create a lifelong love of curios exploration. 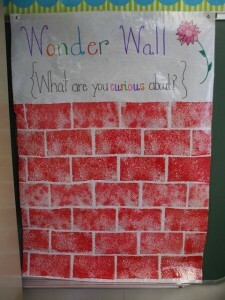 A wonder wall is a great way to get your students to practice asking questions. They can ask questions about any curriculum topic, not just reading. What’s even greater is that students can take a stab at answering the questions, or sharing theories with each other. 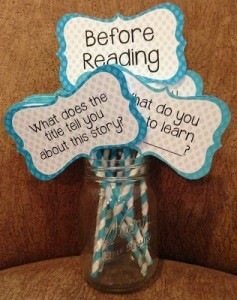 This is an informal way to get your students thinking about asking questions as a step towards learning. 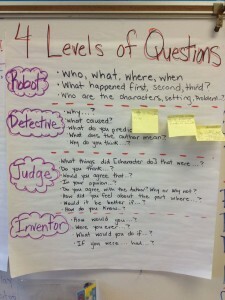 This is a great way to get your students gaging whether their questions warrant a deeper level of thinking. Give examples of the type of responses critical thinking questions garner, and how they usually sound as well. 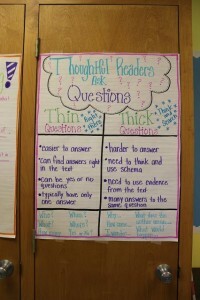 The anchor chart above is fantastic for this purpose. 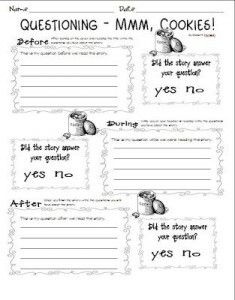 Also, allow your students to practice asking these questions with your consistent feedback on how they are doing. How do you get your students asking meaningful questions?